Today, we are going to throw some light on the interface called Akamai NetSession client that you might have come across while updating the BIOS of your PC or installing some software program. It usually comes bundled with the software programs that you install on your computer. If you are not aware about its installation, then there are high chances that you clicked on “I agree” button while installing an intended software program on your PC. Some of the programs like games on PC use it as a gateway to send updates in the background while you are working on your PC. For example, try to download photoshop elements 12 bundle and when downloading it, you will see an option of using Akamai NetSession client. There is no confusion until this point, but as soon as you download this interface from Akamai, the worry begins! No sooner do you install Akamai NetSession client will you see this prompt from Windows Firewall as it requires permission to access the networks on your PC. Upon receiving this prompt, most of the users get worried as this is a warning from Windows Firewall which probably should not be ignored for safety of your PC. We are writing this article today to clear the air around this and guide you if it is safe to keep this client and allow permission to access private networks or not. 1 What is Akamai NetSession Client? 2 How Did Akamai NetSession Client Get Installed on My PC? 3 What Should I Do With Akamai NetSession Client? 3.1 How to Remove Akamai NetSession Client ? First of all, let us tell you that Akamai NetSession Interface is nothing but a background service that helps in downloading program files of many software programs on your PC at a faster speed. It is chosen by many software companies as a tool to deliver the files faster to your PC while downloading the program. Additionally, it also provides secure file transfer by using HTTPS and SSL layer security. It uses the peer-to-peer connection between the server and client to deliver the files. Also Read : What is VulkanRT ? Should I remove it? How Did Akamai NetSession Client Get Installed on My PC? You may picture it as a download manager which helps to increase the speed of download while providing secure transfer as well. Hence, you can relax and stay informed that it is completely safe tool trusted by many software companies to deliver safe and fast downloads, but the only thing you should check is that it should have come from the program that you have chosen to download on your PC and not from any other source. For example, if you recently updated BIOS or downloaded adobe acrobat reader then there are high chances that Akamai NetSession Client was installed with these programs and by these programs to enable faster download. But if you have not downloaded any program recently and still your Windows Firewall prompts with this dialogue box or warning, then you should check from where it was installed and when. You should allow its access only if you are sure about the source of its download. What Should I Do With Akamai NetSession Client? How to Remove Akamai NetSession Client ? Removing Akamai NetSession client is as simple as removing any other program on your PC. First, go to control panel by searching it from Windows start button. Once the control panel is launched, click “Uninstall a program” (for Windows 7 or 8) or click “Add/remove programs” for Windows XP or 10. You will see a list of programs installed on your computer, which will also include all such programs that were installed along with other software programs when you clicked “I agree” button while installing any software. Spot “Akamai NetSession Interface” in the list and click on that program to see “uninstall” or “change/remove” option which may differ according to the Windows version that you use. You will see prompts with further guidelines to remove the program. Just follow the Windows prompts and click on “Finish” at the end to completely remove this program from your computer. You are done. Your computer may prompt you to restart the OS as sometimes it is required to complete the uninstallation of all the files. However, before removing the program, please be informed that if this program was installed as a part of the gaming programs that you might have installed, or for that sake any other important software programs that might be using it to deliver timely updates in a speedy manner, then you may affect those programs. If you remove Akamai NetSession interface when a program is using it in between the on-going download, it might also result in malfunctioning of that program. So we will only suggest to be careful before adding or removing the program. Hope this article was helpful in understanding the working of Akamai NetSession and all your doubts were clarified. Thanks for reading! Do you know What is Akamai NetSession Client? Akamai NetSession Interface is nothing but a background service that helps in downloading program files of many software programs on your PC at a faster speed. 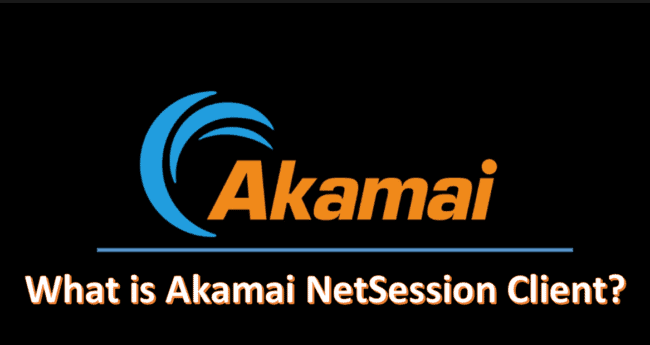 Check out this complete guide to know about Akamai NetSession Interface.